Seattle Auto Defect Attorneys | Davis Law Group, P.S. Washington state law permits people who have been injured due to negligence or wrongdoing to pursue legal action against the responsible party in order to recover damages or lost wages. Car accidents are among the most common cause of injury to residents in Washington state, and the award-winning personal injury attorneys Davis Law Group Injury victims in Seattle and throughout the state should fully understand their legal rights before discussing their claim with representatives of any insurance company. Injuries caused by a defective automobile are not uncommon in the United States, despite all of the safety regulations and federal oversight that is theoretically designed to protect consumers. In a number of cases, serious and devastating accidents are either caused or dramatically worsened due to defective or malfunctioning vehicles or auto products like airbags, brakes, pedals, warning sensors, gas tanks, and more. If you or a loved one has been seriously injured due to a defective automobile or car part, contact Davis Law Group at (206) 727-4000 for a case review or to schedule a free legal consultation. As a prominent Seattle attorney with experience in handling serious injury claims, Chris Davis is often featured by local or national new media covering accident-related issues and/or some of his cases. You may have him on local stations such as KING5, KOMO4, KIRO7 and Q13Fox or national news programs like CNN's Anderson Cooper 360 or InsideEdition. Holding the appropriate person, company, or entity responsible for accidents caused by defective vehicles can be complicated and often requires the assistance of a qualified attorney who has experience handling these types of claims. In these cases, the responsible party may be some combination of auto manufacturers, repair shops, or other corporations, and the legal process for recovering compensation from these parties is no easy battle. We will use our extensive knowledge and resources to achieve the best possible results for you and your family. A basic part of an auto defect case boils down to the following: what makes a car part defective? Your auto defect attorney will have to prove that the part is defective in order to prove your case. To ensure this, it’s paramount that the vehicle or part is preserved for a thorough inspection by qualified experts. While it may seem practical to fix the part or swap out the car, that would destroy the integrity of your case. There are dozens of recalled vehicles and auto parts in the United States every year. In most cases, recalls are issued because a particular vehicle or product poses a safety risk to the general public. There is no telling or predicting which vehicles or products may eventually be determined to be unsafe for motorists, which is why it is important for companies to properly communicate potential issues and recalls to consumers in a timely manner. 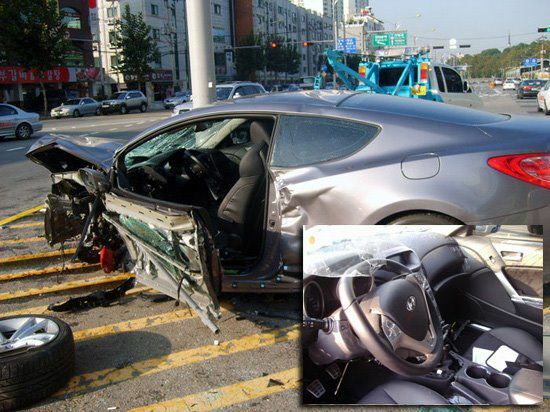 Auto makers should be held responsible for any injuries or death which is the result of a motor vehicle defect. Vehicle manufacturers must produce safe cars and trucks that are free from defects that can injure driver or passengers. General Motors (GM) recalled a record 48 million vehicles in 2014 due to a variety of defective parts and products. 1997 was the worst year for airbag-related deaths and injuries when 53 people died including 31 children. Airbags have killed 264 people since NHTSA became keeping a record of the deaths and injuries. If you or a loved one has been injured in a car accident due to a defective vehicle or product, it is important that you consult with an experienced attorney immediately to learn more about your legal rights. Hiring an attorney can improve the chances of a successful resolution to your personal injury claim and help you protect yourself against the many mistakes that often destroy injury cases. Our award-winning legal team is here to help you better understand your legal rights and review your defective vehicle accident case for free. Call our office in Seattle at (206) 727-4000 or use the confidential contact form on this page to have your case reviewed by our team of attorneys. "Excellent Washington Personal Injury Lawyer"